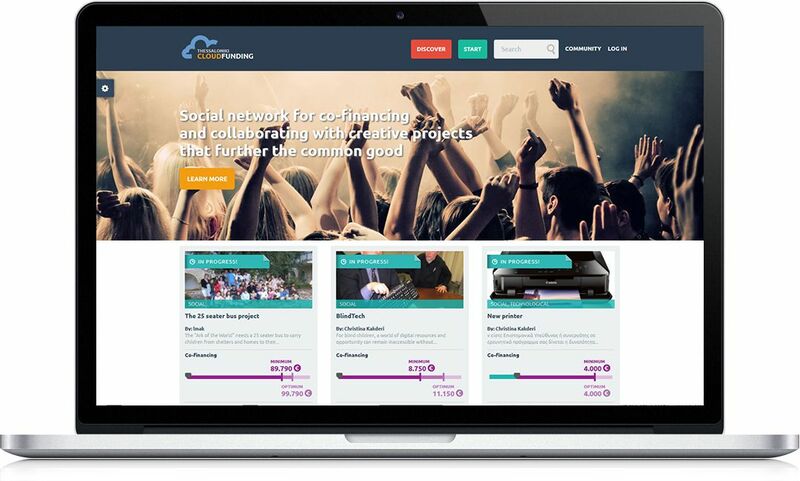 Cloudfunding is an application that supports civic crowdfunding activities. Thought the application, Municipalities can support local communities to collect money for social and charitable purposes. Supported projects are related to the improvement of urban environment, social entrepreneurship, and knowledge-intensive and technology-based youth entrepreneurship. The application is tailored to the financing of citizen initiatives and social, cultural, technological and educational projects. The application supports donations not only of money but also of labor, tools, materials, etc. The application is based on Goteo platform, a well-known open source crowdfunding platform. The city’s local communities, civil society groups, NGOs and young entrepreneurs are supported through collaborative financing. Crowdsourcing has become one of the most effective ways to solve civic and social problems. The involvement of a vibrant open source community ensures the update of the application with new features. Projects for the improvement of the environment of the city (i.e. creation of parks and playgrounds, restoration of monuments, expansion of bike lanes, etc.). These projects could combine private and public funding. Projects for social entrepreneurship (i.e. creation of non-profit enterprises to promote objectives that improve the city life or strengthen its social capital. The Municipality will act as a mediator of the initial effort. Projects for knowledge-intensive and technology-based youth entrepreneurship. The creation of a project takes place through a process that includes a number of predefined steps where the applicant should describe his organization as well as the proposed intervene. The detailed information helps citizens to evaluate the projects and to support those that consider as most important for the city. 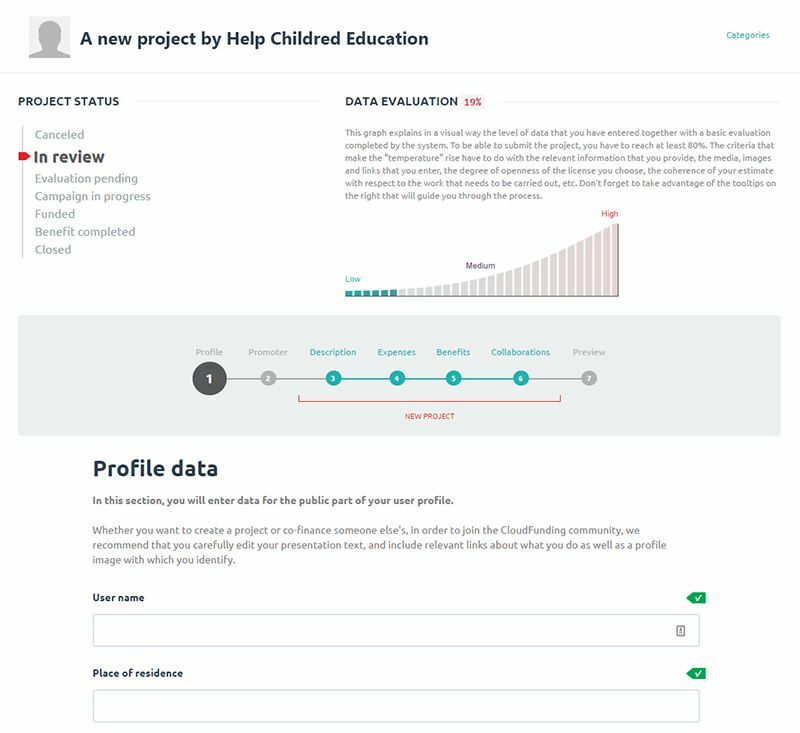 The platform shows statistics and indicators, which allow City Authorities to draw conclusions on the successful crowdfunding process.